First, let’s talk about the benefits of having a studio Facebook page. Then you'll discover three ways to use it to your advantage. Facebook is filled with parents in your city who use it every day. Those parents are connected on Facebook with their friends and family, with local parent groups, and with local businesses. When you keep an up-to-date studio page on Facebook, it’s an effective way to show what your studio looks like on a weekly basis. It’s the perfect place to brag about student accomplishments (just be sure to respect the privacy of students and families) and to share photos of studio events. A studio Facebook page also makes it simple for parents to repost your photos of their child, which then gives you access to a much wider audience. When a studio parent posts a photo of 4-year old Jackson, wearing a bow tie and performing in his violin recital, it’s going to get some attention. When a family friend comments, “I didn’t know you could start violin lessons so early! Who’s your teacher?” your studio Facebook page wins the day. The parent can easily tag your page, and that’s an instant referral. When someone asks in your local moms’ group for a piano teacher recommendation, Facebook can be your best friend. If you’ve got a studio parent who’s in that group, they can easily link to your Facebook page with a recommendation. Despite all of the changes in Facebook over the years, it is still free to start and maintain a business page. Unless you choose to pay to boost your posts, run ad campaigns, or hire someone to manage your social media, Facebook remains a completely free tool for you to use. We’ve established that there are significant benefits to having a studio Facebook page. How can you use it to stay connected with local families? Invite your studio families to like your Facebook page. At each group event or large class, encourage parents to take their own photos and share on Facebook, tagging your studio when they do so. Take this a smart step further by encouraging parents to use a specific hashtag when sharing their photos. This will make it easy (on both Facebook and Instagram) to build a collection of unique studio photos. Can you imagine being able to click on a hashtag of YOUR teacher’s studio and seeing photos of yourself in a recital when you were 10? Those are priceless memories, and your students will have that opportunity. A few years ago, I decided to use my personal Facebook page to connect with studio families. I removed anything on my Facebook page that felt too personal and began to friend parents in my studio. Now, when I post a photo to my studio Facebook page, I share that studio post on my personal page for a much higher level of parent engagement than I would otherwise get (thanks to Facebook's algorithms, which we'll talk about in the next post). Parents will also tag me personally in their child’s music photos, when they might not think to tag my studio. Seeing your personal Facebook profile as a way of connecting with parents provides another valuable opportunity to grow your online presence. 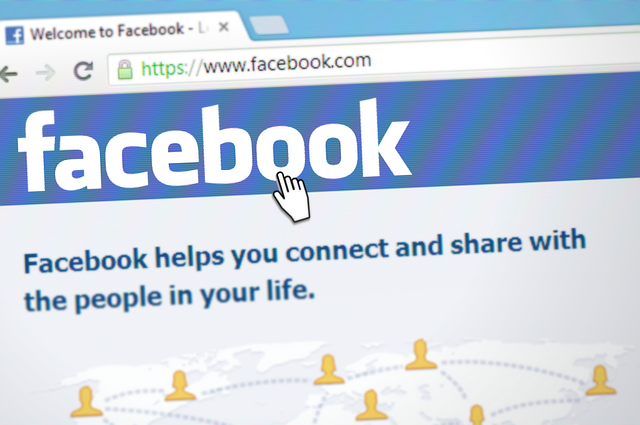 So we've talked about some of Facebook's potential in growing your studio. Want to know what Facebook is NOT able to do, and how your website is your most powerful tool in representing your studio online? Come back next week for the second part of this post! Do you have a studio Facebook page? A website? Both? What does your Facebook page do for your studio? What ways have you found to engage parents through your studio Facebook page?